With Baby Driver zooming into theatres this week, riding a wave of critical acclaim, might we add, Edgar Wright is now back in the spotlight, and it’s about damn time. As the director’s first movie since 2013’s The World End, fans have been waiting for ages now to see another effort from the beloved filmmaker and thankfully, he’s once again delivered a hit. But that still doesn’t make the blow from the whole Ant-Man debacle any easier to take. As you no doubt know by now, Wright was attached to the Marvel blockbuster for years before making a very public departure from the project, citing creative differences as the reason for him leaving. There was much more to the story, of course, but given how long he’d been developing Ant-Man for and how excited fans were to see him bring the hero to life, it was tremendously disappointing to have the director walk away from the movie. That’s likely why it’s taken him so long to put out another film and you’d think that after the rough experience he had working with the studio, he may be turned off on the idea of climbing on board another comic book movie again. Turns out though that’s not quite the case. While speaking with Screen Geek recently to promote Baby Driver, Wright talked about why he parted ways with Marvel and explained that he essentially became a director for hire. The outlet then asked him if he’d ever consider making a film for DC, and though he didn’t say yes, he also didn’t rule it out. Given that he’s been rumored for DCEU movies in the past, and that he doesn’t close the door on the possibility here, it would seem that he’s at least open to the idea. 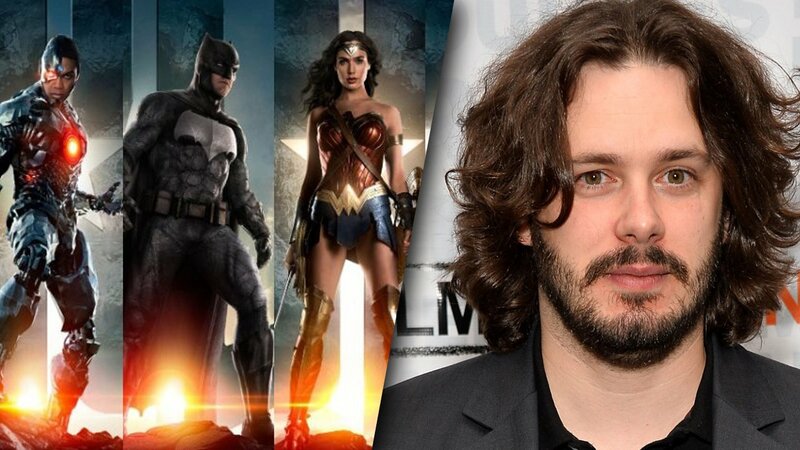 Still, that in no way means that we should expect to see Edgar Wright jump back into the superhero game – just that the director hasn’t ruled it out. Regardless of where Wright goes from here, it’ll be interesting to watch him continue to grow as a filmmaker. He’s only getting more popular with each new movie he puts out and he’s a hot commodity in Hollywood these days. Whether or not we’ll ever see him go to work for DC is hard to say, but with the studio intent on making director driven films, it wouldn’t surprise us if they’ve already approached him.